Bring the magic of Camp McDowell to your community with a team-building, education, or animal ambassador program! Give in to your own curiosity with an up close encounter with native birds of prey and reptiles in an unforgettable program! Our feature traveling program, Alabama Neighbors, is suitable for any location and for audiences of all ages. Every year kids and adults remember this exciting program and look forward to it again and again. We regularly travel to libraries, schools, churches, day camps, and state parks. The best time of year for this program is the summer and winter, though we have some availability in fall and spring. 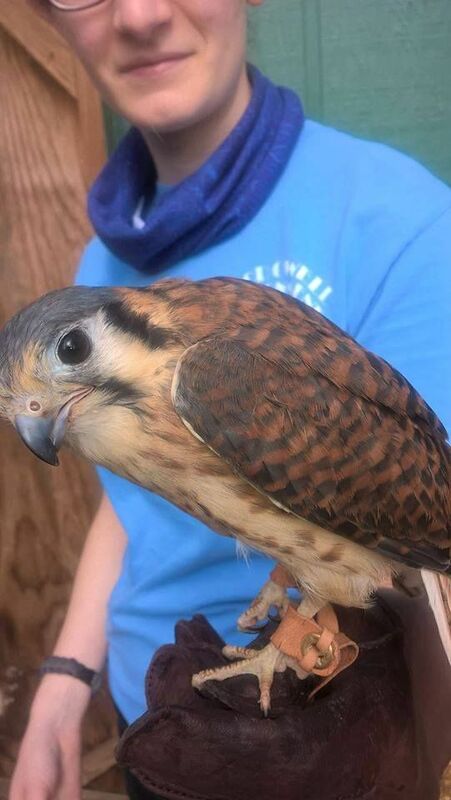 Customize your program to correlate to your school's science curriculum, your event's theme, or the types of birds of prey or reptiles you want to meet. For more information and pricing contact 205-387-1806 ext. 103 or MECoutreach@campmcdowell.com. Bring a team-building or educational program to your community! To learn more about putting together a program that fits your needs, contact Kendra at 205-387-1806 ext. 103 or kendra@campmcdowell.com, or sign up to join our outreach mailing list below! Sign up to learn more about an outreach program, or about bringing your group to the McDowell Environmental Center!